Fred Archer was a farmer and author from the rural English counties of Hay Day's and Gloucestershire. A man of honest toil and genuine laughter, for over thirty years he entertained his readers with tales of country life as he, his family and neighbours knew it. 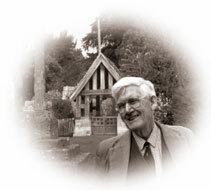 Fred Archer died peacefully at Evesham, Worcestershire in 1999. This website is dedicated to his life, his writing and his memory. When I was man alive?